Analysis: Reynolds served in his usual role as a complementary option alongside Robert Woods and Brandin Cooks, shaking loose downfield for gains of 18 and 26 yards. The 23-year-old has been solid in place of Cooper Kupp (knee), as he's totaled 18 catches over the last five games. He'll look to head into the postseason with some momentum against the 49ers in Week 17, a game the Rams will need to win to secure the No. 2 seed and a first-round bye. Reynolds caught two of his five targets for only 19 yards during Sunday's 30-16 win over Detroit. Analysis: This was a discouraging showing for Reynolds following Los Angeles' Week 12 bye. 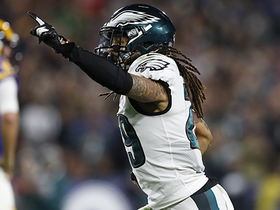 He recorded 80 receiving yards and a score against Kansas City in his last outing, and now that he's in a starting role, he's positioned for success. Playing 67 of 69 offensive snaps against the Lions also bodes well for his fantasy outlook. While Reynolds' probably shouldn't be considered a reliable asset, the upside is definitely there. Reynolds caught six of eight targets for 80 yards and a touchdown in Monday night's 54-51 win over the Chiefs. Analysis: Reynolds assumed Cooper Kupp's (knee) vacated starting position and fared quite well in an expanded role. 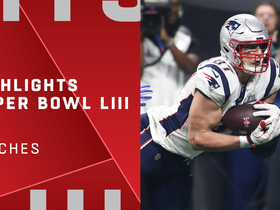 Not only did he make a superb grab for a four-yard touchdown during the first quarter, but he finished behind only Brandin Cooks in catches and receiving yards. In doing so, last year's fourth-round pick set career highs, giving him great momentum heading into Los Angeles' bye week. Reynolds is expected to start against Kansas City in Week 11 with Cooper Kupp (knee) out for the season, Gary Klein of the Los Angeles Times reports. Reynolds played just two of 60 offensive snaps and wasn't targeted during Sunday's 45-35 loss to New Orleans. Analysis: With Cooper Kupp back from a knee injury, Reynolds' field time was predictably limited in Week 9. The sophomore out of Texas A&M is clearly not a viable fantasy asset when the Rams are at full health, but Reynolds also proved last week against the Packers that he's capable of climbing the depth chart and contributing if given the opportunity. Reynolds collected three receptions for 42 yards and two touchdowns during Sunday's 29-27 win against the Packers. Reynolds caught his only target for 19 yards during Sunday's 39-10 win over San Francisco. Analysis: The sophomore receiver made his second career start and played 51 of 61 offensive snaps Sunday. 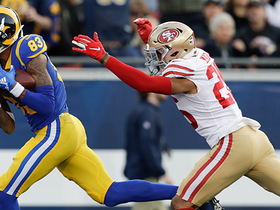 His lone reception almost resulted in a touchdown, as Reynolds was brought down at the 49ers' 1-yard line to set up a Todd Gurley rushing score on the next play. With Cooper Kupp (knee) out of action, Reynolds projects to continue receiving significant playing time, and while he's far from a reliable fantasy asset, being attached to a prolific offense offers fleeting potential. Reynolds (hand) was a full practice participant Thursday, Rich Hammond of the Los Angeles Daily News reports. Analysis: Coach Sean McVay told Lindsey Thiry of ESPN.com that Reynolds injured his hand during the Rams' Week 6 win at Denver. Reynolds logged a limited practice Wednesday as a result, but it won't stop him from entering the starting lineup Sunday in San Francisco. He'll be tasked with keeping the Rams' vaunted passing attack running on all cylinders sans Cooper Kupp, who has been ruled out for at least this weekend due to an MCL sprain. Reynolds was a limited practice participant Wednesday due to a hand injury, Rich Hammond of the Los Angeles Daily News reports. Analysis: Meanwhile, coach Sean McVay has already ruled out Cooper Kupp (knee) for Sunday's game at San Francisco, leaving Reynolds as the No. 3 wide receiver so long as he's able to play through the injury. The second-year pro is primed for a heavy snap count, as the Rams have used three-receiver formations on 95 percent of their plays through six games. Reynolds struggled to make anything of his limited opportunities as a rookie, catching 11 of 24 targets for 104 yards and one touchdown. Reynolds played 46 of 74 offensive snaps during Sunday's 23-20 win over the Broncos. He finished the game with minus-2 receiving yards on two targets. Reynolds caught two of his three targets for 39 yards and had a 10-yard rush during Sunday's 33-31 win over Seattle. 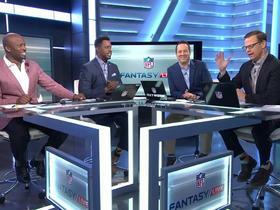 Analysis: With Brandin Cooks (concussion) and Cooper Kupp (concussion) injured during the game, Reynolds entered and showed off his athleticism. The second-year receiver flashed similar potential last season when Robert Woods missed time with a shoulder injury, so if Reynolds sees more playing time, there's legitimate upside. 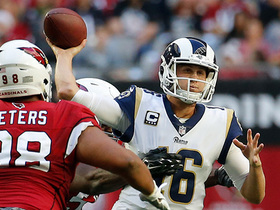 The Rams' passing attack tops the NFL with 1,686 yards, after all. 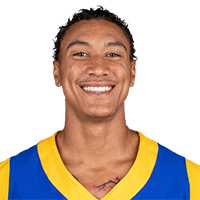 Reynolds (ankle) wasn't listed on the Rams' Week 1 injury report Thursday, Myles Simmons of the team's official site reports. Analysis: Reynolds emerged from preseason Week 1 with an ankle injury that kept him out the rest of exhibition season. Although he's returned to full health, he's stuck as the No. 4 wide receiver in an offense with three more than steady options in Brandin Cooks, Robert Woods and Cooper Kupp. Like last year, Reynolds likely will need an absence from one of the trio to make an impact in the box score. Rams head coach Sean McVay said Reynolds (ankle) won't play in Thursday's preseason finale against the Saints. 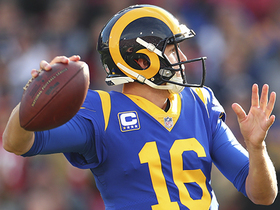 "He is making good, positive progress, but we know that he won't be available on Thursday and the goal is [having Reynolds play Week 1 in] Oakland," McVay said. Analysis: The ankle injury that Reynolds suffered Aug. 9 seems to be slightly more serious than initially indicated, but nothing that should jeopardize his availability for the season opener. Assuming Reynolds puts in a full practice by the end of next week, he'll likely serve as the Rams' No. 4 wideout behind Brandin Cooks, Robert Woods and Cooper Kupp in Week 1. As a rookie last season, Reynolds only saw 24 total targets, with 21 of them coming in the Rams' final seven contests. Head coach Sean McVay said Reynolds (ankle) will be sidelined for at least a week, Rich Hammond of the Los Angeles Daily News reports. Analysis: Reynolds hurt his ankle in Thursday's preseason opener but it looks like he's avoided a severe injury. However, he still figures to be out of commission in the short term, which won't help his case to earn snaps with the first-team offense. Reynolds is expected to serve as the Rams' No. 4 wide receiver, just as he did for most of last season. Reynolds (ankle) is not practicing Saturday, Rich Hammond of the Los Angeles Daily News reports. Analysis: Reynolds sustained an unspecified ankle injury during Thursday's preseason opener against the Ravens. However, the extent of the damage isn't clear. With Reynolds sidelined, Fred Brown and Steven Mitchell could see added reps with the second-team offense. Reynolds is nursing an ankle injury following Thursday's preseason opener against the Ravens, Lindsey Thiry of ESPN.com reports. Analysis: Reynolds finished the contest with just one catch for six yards on three targets. The 2017 fourth-round pick had shoulder surgery in February, but he's been a full participant at training camp while trying to solidify his role as the team's No. 4 receiver. An injury to Brandin Cooks, Robert Woods or Cooper Kupp likely would put Reynolds in position for regular snaps, assuming his ankle issue isn't too serious. Reynolds caught one of three targets for six yards in Thursday's preseason game against the Ravens. Reynolds (shoulder) participated in team drills during Sunday's practice, Joe Curley of the Venture County Star reports. Analysis: Reynolds underwent shoulder surgery in February, but it sounds like the receiver has put that issue behind him given his full participation in training camp. However, Reynolds is still a fantasy afterthought at present time, as he's buried behind the established trio of Brandin Cooks, Robert Woods and Cooper Kupp. Reynolds had surgery in early February to repair a torn labrum in his shoulder, Joe Curley of The Ventura County Times reports. Reynolds played just two offensive snaps during Saturday's 26-13 loss to Atlanta in the wild-card round. Rams head coach Sean McVay suggested that Reynolds' teammates Robert Woods, Sammy Watkins and Cooper Kupp (knee) won't have significant roles in Sunday's game against the 49ers, Rich Hammond of the Los Angeles Daily News reports. Reynolds hauled in both of his targets for 17 yards during Sunday's 43-35 loss to Philadelphia. Analysis: After receiving six targets in consecutive games, Reynolds wasn't as involved this week. His fleeting boost in fantasy value may also be over with Robert Woods (shoulder) potentially returning to action in Week 15. The rookie out of Texas A&M is a risky fantasy option at this stage of the season, but his long-term outlook for dynasty/keeper settings remains intriguing because of his size, speed and athleticism. Reynolds caught two of his six targets for only six yards during Sunday's 32-16 win over Arizona. Reynolds (ankle) practiced in full Thursday, Rich Hammond of the Los Angeles Daily News reports. Analysis: Reynolds earned three targets on 84 offensive snaps in the first 10 games of his career, but Robert Woods' shoulder injury opened the door for a drastic uptick in work. Receiving 62 of 77 snaps on offense Sunday against the Saints, Reynolds gathered in four of six passes for 37 yards and his first career touchdown. With another DNP on tap for Woods this weekend, Reynolds will brush off an ankle injury in anticipation for the Cardinals' 18th-ranked pass offense Sunday. Reynolds was held out of Wednesday's practice with an ankle injury, Darren Urban of the Cardinals' official site reports. Analysis: Reynolds took advantage of Robert Woods' (shoulder) absence in Sunday's 26-20 win over the Saints, catching four of six targets for 37 yards and a touchdown. Should the rookie fourth-round pick miss Sunday's game in Arizona, the Rams would need more snaps out of Tavon Austin and/or Pharoh Cooper. Reynolds caught four of six targets for 37 yards and a touchdown during Sunday's 26-20 win over New Orleans. Reynolds will likely pick up increased snaps in Sunday's game against the Saints with Robert Woods (shoulder) unavailable for the contest, Ian Rapoport of NFL Network reports. Reynolds (concussion) logged a full practice Thursday, Myles Simmons of the Rams' official site reports. Analysis: Although Reynolds was a full participant at practice, it is not clear if he has yet passed the team's concussion protocol. However, the rookie does appear as though he's on track to take the fields in Week 9. 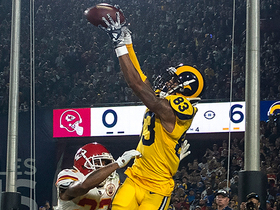 Take a look at the best catches from Super Bowl LIII between the Patriots and Rams. Los Angeles Rams quarterback Jared Goff finds wide receiver Josh Reynolds in back of end zone for their second TD connection. Los Angeles Rams quarterback Jared Goff delivers a pinpoint 29-yard touchdown pass to wide receiver Josh Reynolds. Los Angeles Rams quarterback Jared Goff unleashes a 26-yard pass to wide receiver Josh Reynolds. 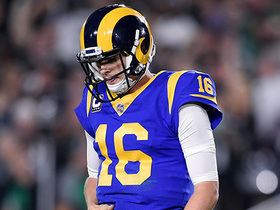 Los Angeles Rams quarterback Jared Goff's end-zone heave at the buzzer falls incomplete. Los Angeles Rams wide receiver Josh Reynolds' goal-line stretch comes up just short. 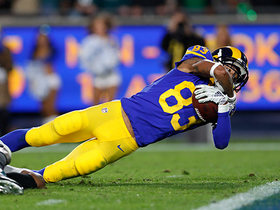 Philadlephia Eagles defensive back Avonte Maddox perfectly reads Los Angeles Rams quarterback Jared Goff for a interception. 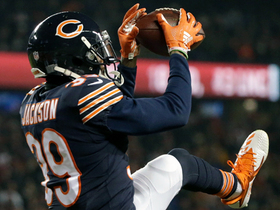 Los Angeles Rams quarterback Jared Goff's last-second launch lands in Chicago Bears safety Eddie Jackson's hands for interception.